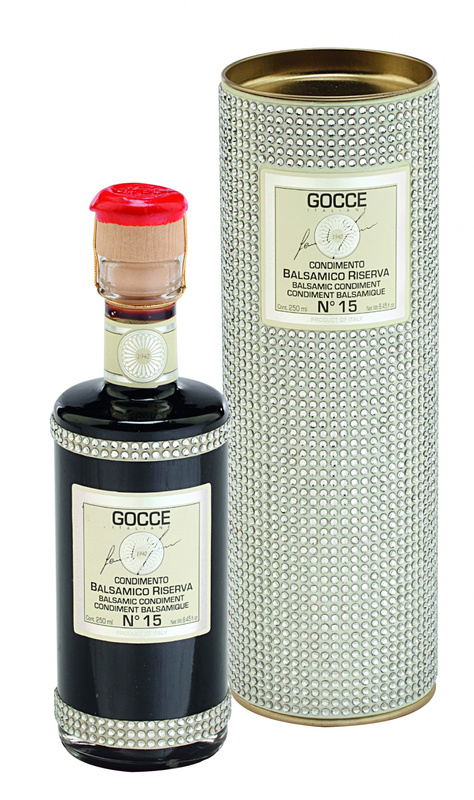 GOCCE CRYSTALS is a special series of Aged white and dark condiments with adhesive rhinestones adorning the packaging which provide a glamorous glittering touch. They are precious gifts for the palate and the eyes. Ideal on salads, eggs and omelettes, boiled, fried and baked potatoes, risotto, grilled or barbecued vegetables, smoked salmon, meat or fish tartar, charcuterie, caviar, Foie Gras, finger food, pizza, sushi, boiled or BBQ meat, cheese, ice-cream, pancakes, strawberries, cheesecake, poached fruit, dark chocolate. A teaspoon at the and of the meal as a digestif.